The Food Bank Client Reporting Module reports on all clients records at the portal level. Current reports include Client Visit Report, New Clients Report. 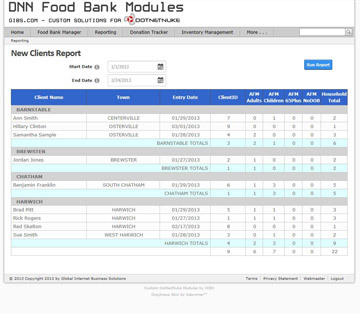 Please register with our site to sample the DNN Food Bank Client Reporting Manager.